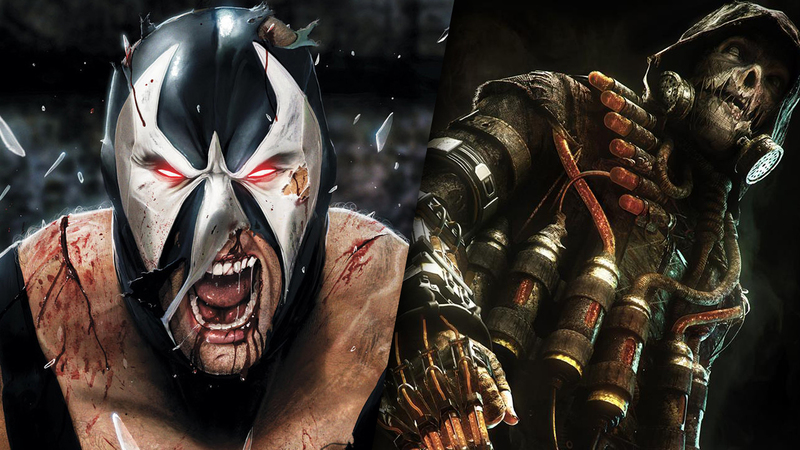 Bane, Scarecrow, and Maxwell Lord – three supervillains that have reportedly been shortlisted for Suicide Squad 2, according to a report compiled by 4chan. First spotted by the DCEULeaks subreddit, the exhaustive post touched on many of the DC tentpoles currently in development at Warner Bros., including The Batman, Batgirl, Man of Steel 2 and the Nightwing solo movie headed up by writer-director Chris McKay. The latter is reportedly being prepped for take-off in July of next year, which is either nigh on wishful thinking or one of the more impressive turnarounds we’ve seen from the DC Extended Universe – or any shared universe for that matter – in recent years. When it comes to Task Force X’s next big-screen outing, though, there hasn’t been any tangible development since the appointment of Adam Cozad, screenwriter on Warner’s Legend of Tarzan reboot. The search for a director is ongoing, too, after reports indicated that Mel Gibson (Hacksaw Ridge) was on the verge of climbing aboard. Still nothing to report on that front just yet, but as Suicide Squad 2 quietly begins to take shape at Warner Bros., it seems the studio’s brain trust is in the process of selecting a new supervillain for the anti-hero sequel, with 4chan claiming that Bane, Maxwell Lord, and the unruly Scarecrow have all come into contention. You’ll likely remember that the latter was initially meant to appear in David Ayer’s Suicide Squad, so out of the three, we’re inclined to believe Suicide Squad 2 will find room in its ranks for Gotham’s Master of Fear. Keep in mind though, this is just another unfounded rumor for now, but it is at least consistent with previous claims that Killer Frost will soon be drafted into Task Force X. And there’s even word of a potential resurrection. Early ideas that were discussed for Suicide Squad 2 included Maxwell Lord, Scarecrow or Bane as villains. Killer Frost will be added to the team and Diablo will return. With David Ayer off working on Gotham City Sirens, heralding another collaboration with Margot Robbie (Harley Quinn) in the process, the untitled Suicide Squad 2 is incubating in the very, very early stages of development. Until we hear more, though, tell us, what do you make of these story allegations? Indeed, do you have a personal favorite out of Bane, Scarecrow, and Maxwell Lord? Let us know!